Andrew Rosario: You look great man; what are you doing these days with the Broncos? SAM GARNES: I'm coaching the DB. I'm an assistant DBs coach. I'm trying to help lead them to a victory this weekend. Andrew Rosario: So you got your hands filled because that Seattle offense is pretty potent with Russell Wilson and their wideouts, as well. SAM GARNES: It's very, very potent, a lot of people, you hear those guys talk about they are under-rated. They are not under-rated to us. We watch the tape. They are explosive, talented, and they have a great quarterback leading them so. Andrew Rosario: From an offensive standpoint, what do you do to try to offset what they want to do? SAM GARNES: You just try to do the things you've been doing all year-long which is to do it better. That's all I could say you know. Andrew Rosario: Now what do you miss most about the game? SAM GARNES: One thing you miss is usually when you're playing you miss the camaraderie of being around your teammates. But, when you coach you get that, and physically I feel like I can't do it anymore so I don't miss playing so much. I enjoy watching the young guys grow and go out there and put together the game plan they go out there and execute that. I get a lot of joy out of that. Andrew Rosario: What do you tell the younger guys who are experiencing something like this for the very first time? SAM GARNES: I tell them I've been through this, it's something that you enjoy but it's not something you don't want to enjoy this two weeks after the Championship, you want to enjoy this for several months and beyond. Andrew Rosario: What do you want to do after the Broncos? Any envision coming back to the Giants and Jets in any capacity? SAM GARNES: Well you know I work for the Broncos and that's my focus right now, my focus is just winning the Super Bowl. I have a two-year contract I'm happy being with the Broncos. Andrew Rosario: Last question, what's it going to take for your guys to come out on top at the end of the game? SAM GARNES: Just have to have one more point than they do at the end of the game. But, really, you just got out there and execute and hopefully just play better than them. Andrew Rosario: Well you look like you're in playing shape yourself you know that. SAM GARNES: I appreciate that I work hard I probably lost a couple of pounds in the last couple of years. But, I feel great. Andrew Rosario: Excellent, man, good luck it's been great seeing you. SAM GARNES: Great seeing you as well. PERCY HARVIN: By not being able to play and finally getting over all my hip things and I'm feeling good, playing in the game with no restrictions and then to go down with a head injury, man, I couldn't, I was just saying to myself, why me? How did this happen? 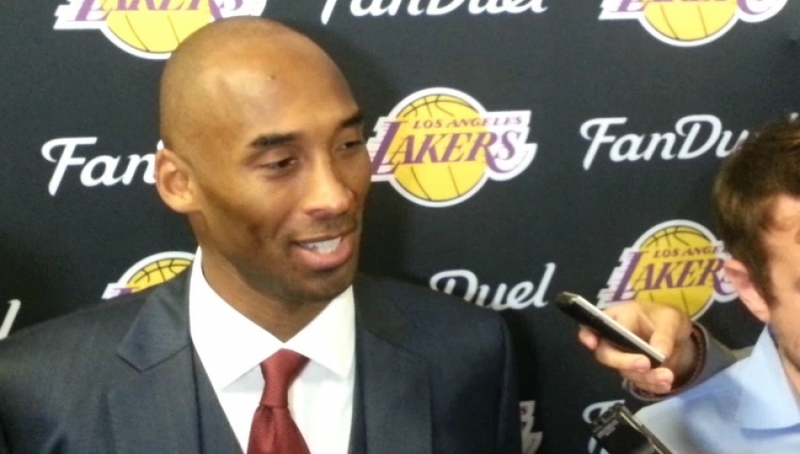 So it was definitely a crazy feeling for me, as we caught that pick, man, my heart dropped. ANDREW ROSARIO: So now you're at the big game do you change anything preparing for the game physically, mentally, or is it all gangbusters? PERCY HARVIN: Nothing at all; that's been our big goal for the last two weeks from the first message coach gave us, keep everything the exact same. Prepare the way we prepare so we definitely put in a lot of our game plan. When I was home we got busy we got a lot done so our game plan is in just tweaking a little bit of things we're ready to go. ANDREW ROSARIO: There's not one guy on your team that has Super Bowl experience. Is that something you talk about at all? Have you called anybody that has played in this game to get an idea what you're up against? PERCY HARVIN: We actually haven't. I think that's what's giving us that edge right now. Nobody else won the Super Bowl on this team, and we're all very, very hungry right now. We got to have it; it has to come back to Seattle. We all have that mindset right now. The look in those guys' eyes, we got to have it. ANDREW ROSARIO: Does the Legion of Boom work from the offensive standpoint, as well, or is that strictly defense? PERCY HARVIN: That's strictly a defensive thing, that's their world. ANDREW ROSARIO: How would you describe your offense then? PERCY HARVIN: We will be explosive. We definitely will be explosive. It would be good to join the guys Doug, Kearse, Big Beast Mode and led by the man in charge No. 3, so we're definitely going to be explosive and we are looking to make new plays in this game. RICHARD SHERMAN: MACKLEMORE is as cool as a frozen fan, man. He's a great guy. He's a really cool guy. He's a great part of Seattle. Oh man, I say congratulations man that's big for him. I think all his accomplishments and everything, he deserves. He worked hard. He came from the bottom, he worked hard. He didn't take the easy way. He took the hardest route you could take and he deserves everything he's gotten. RICHARD SHERMAN: I think I would describe myself as a tenacious defender, somebody who doesn't take plays off and plays the game really well. I would say my length is my biggest asset. I have long arms, long legs and I'm able to get into a lot of places that people don't think you can get too. I think that being a great defender means you don't take days off; you work hard; you're part of the team. You understand the integrity of the defense. You understand what your job is in terms of whole defense, what everybody job is, and you never want to let anybody down. By now, you probably saw or heard about the World Cup blow-out match between Germany and Brasil. A story that is flying under the radar is that the FIFA Emergency Committee decided today Wednesday, July 9, 2014, to suspend the Nigeria Football Federation (NFF) with immediate effect, on account of government interference. Article 13, par. 1 and article 17, par. 1 of the FIFA Statutes obliges member associations to manage their affairs independently and with no influence from third parties. A Nigerian high-court ruling on July 4, 2014, granted an injunction to suspend the country's top soccer official, Aminu Maigari, along with his executive committee and the NFF congress, according to the BBC. The said court order compelled the Nigerian Minister of Sports to appoint a senior member of the civil service to manage the NFF until the matter was heard in court, without giving any date for such a hearing. The authorities then appointed a person who decided to convene an extraordinary general assembly on July 5, 2014. This extraordinary general assembly was convened in violation of the NFF statutes. Originally, an elective congress had been planned by the NFF to take place on August 26, 2014. The suspension will be lifted once the court actions have been withdrawn and the properly elected NFF Executive Committee, the NFF general assembly, and the NFF administration are able to work without any interference in their affairs. The most immediate effect is that Nigeria will not be entitled to participate in the upcoming FIFA U-20 Women's World Cup (August 5 – 24, 2014) should the suspension not be lifted by July 15, 2014. In addition, neither the NFF nor any of its members or officials may benefit from any FIFA or CAF development programs, courses or training during the suspension period. It was Marathon Sunday in New York City and the Philadelphia 76ers probably felt like their game against the Brooklyn Nets on Sunday was a marathon they couldn’t wait to see come to an end. The Nets took the Sixers off their game and cruised to a comfortable 122-97 victory at the Barclays Center. With the win, the Nets improved to 4-6 this season (3-2 at Barclays Center), while the Sixers fell to 6-5 (0-5 on the road). A notable metric from Sunday is that the Nets forced a season-high (and NBA season-high) 28 turnovers on the Sixers, which marked their most turnovers forced in a game since March 7, 2014, vs. Boston (also 28 turnovers). Another remarkable stat is that Brooklyn also committed a season-low nine turnovers, good for a +19 turnover margin, which marked the Nets’ largest positive turnover differential in a game since the 2002-03 season on January 17, 2003, against the Toronto Raptors, which was also +19. Individual Nets players have been having a great start to this young season, lifting above their own records. Caris LeVert, who has been having a break-out season scored 20 points tonight, his sixth 20-point game of the season (in his 10th game), matching his total from all of last season. LeVert didn’t register his sixth and final 20-point game of the 2017-18 Season until March 19, 2018, against Memphis. And, tonight, he scored 18 points in the first half, which marked the highest-scoring half of LeVert’s career. 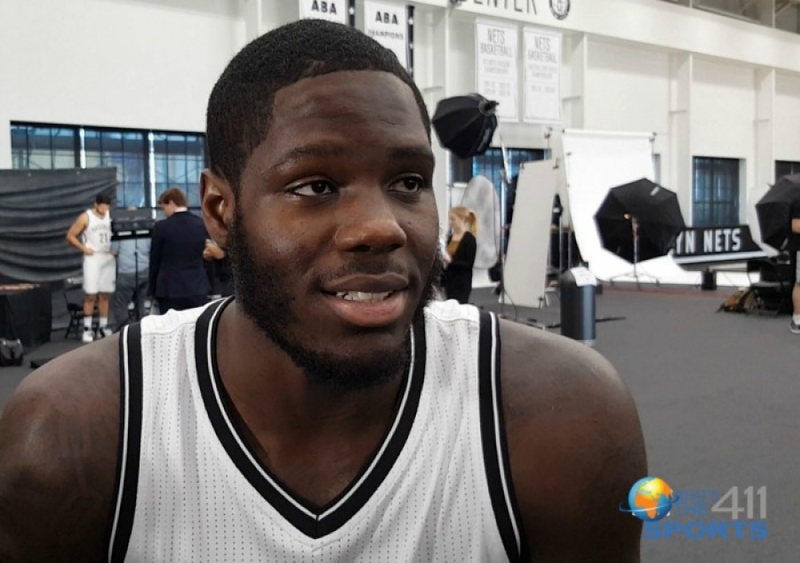 Keep an eye on LeVert, as he is an NBA All-Star in the making. 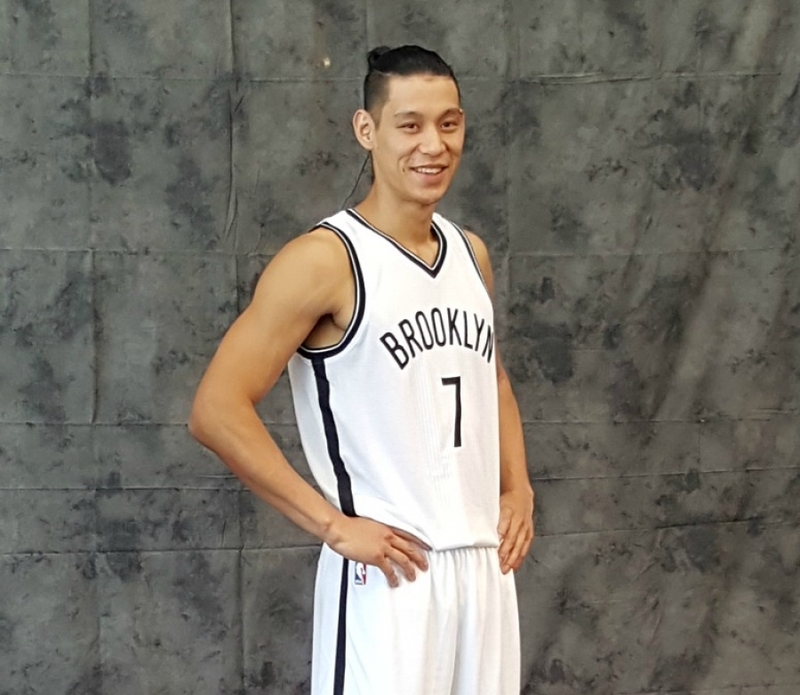 In addition to LeVert, other Brooklyn Nets scoring leaders are part of the team’s young core. Starting PG D’Angelo Russell, and Rondae Hollis-Jefferson, each scored 21 points. Hollis-Jefferson, who is coming back from injury, was part of the second-unit and added six rebounds and three assists to his total, while Russell added six assists and just one turnover in his 25 minutes on the floor. Starting center, Jarrett Allen, in his second year with Nets and the NBA, registered a double-double with 15 points and 10 rebounds. This is Allen’s third double-double of the season, an improvement over his total four double-doubles in his rookie season. Spencer Dinwiddie, also part of the second unit tonight, tallied 12 points and eight assists; while Joe Harris, as a starter, chipped in 11 points and three assists. 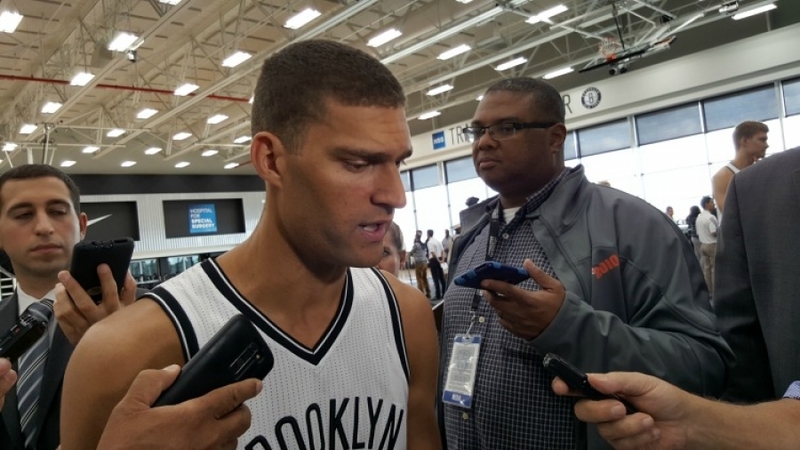 For years, the Nets’ Achilles heel has been the third quarter. But not tonight, as Brooklyn scored 41 points in the third quarter alone, which wasn’t lost on Nets head coach Kenny Atkinson. 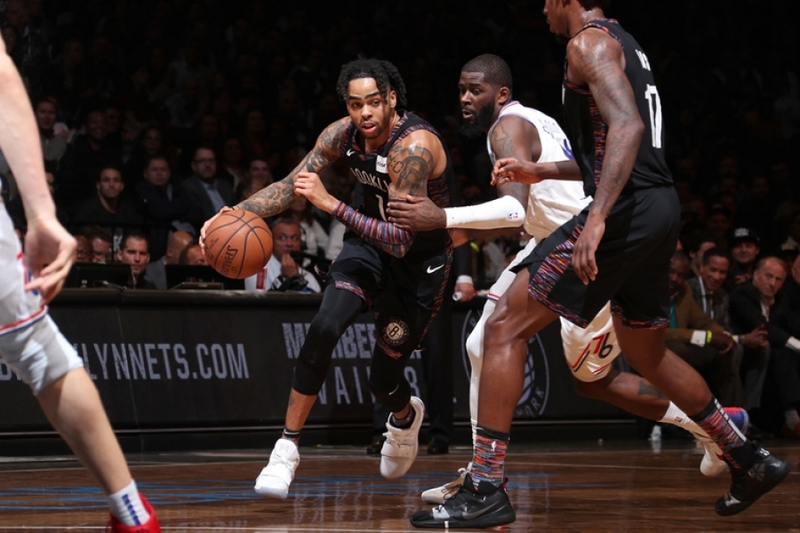 The Nets had only nine turnovers versus the 76ers’ 27, an indicator that Brooklyn handled the ball well while putting defensive pressure on Philadelphia. Philadelphia did take the first quarter, leading the Nets 21-18. Even at the end of the first half, no one could see a slaughter-fest in the making, with the Nets having a four-point lead of 51- 47. Additionally, the Nets have a history of collapsing in the third quarter. 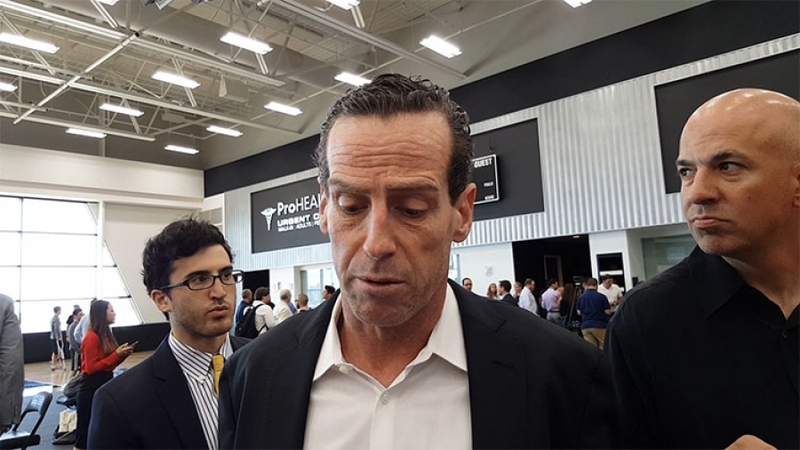 But, not tonight, the second half just didn’t go right for the Philadelphia 76ers, which left Coach Brown befuddled, the Nets ended the third stanza 92-75, and the final quarter 122-97. Philadelphia scoring leaders were Ben Simmons with 20 points, 12 rebounds, four steals, and three assists. Joel Embiid registered 16 points, 15 rebounds, and four assists. JJ Redick scored 15 points in 27 minutes off the bench. Dario Saric added 14 points and three rebounds, and; Landry Shamet came off the bench to chip in 12 points. The Sixers will travel to Indiana to take on the Pacers on Wednesday. 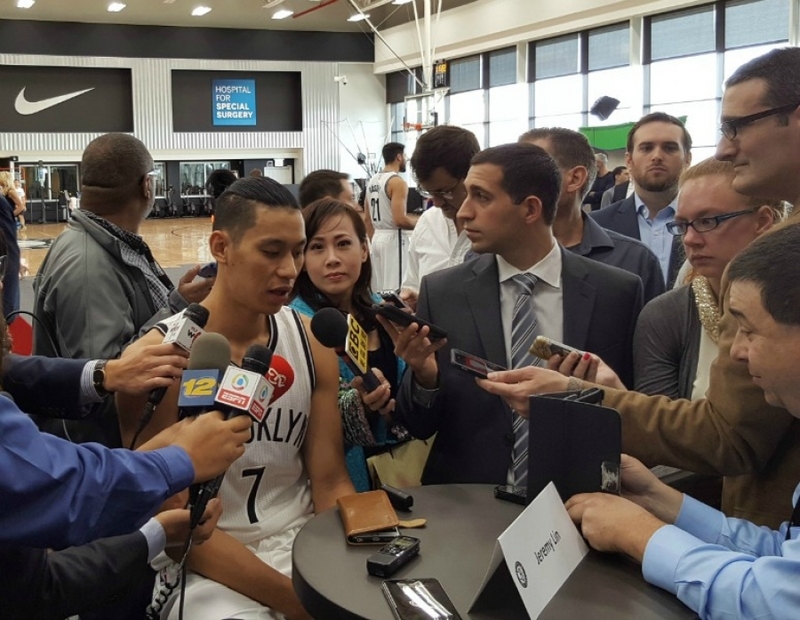 Meanwhile, the Nets will embark on a four-game road trip (their second-longest road trip of the season), beginning on Tuesday night in Phoenix to play the Phoenix Suns. 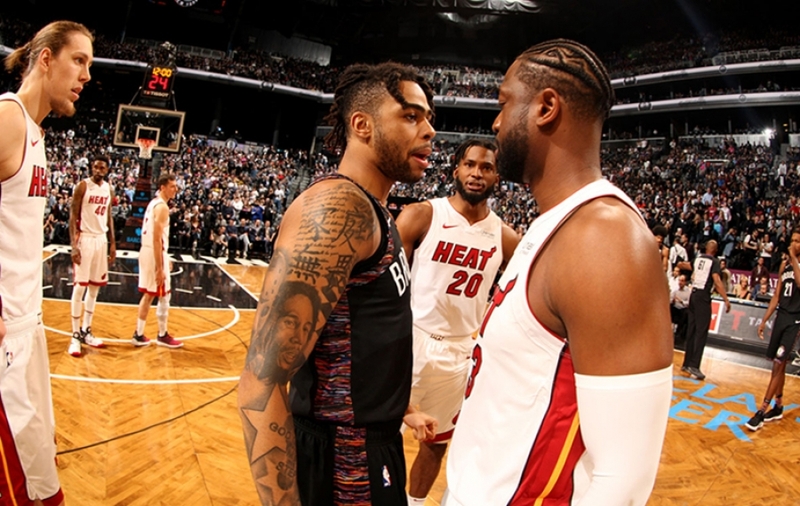 The next time the Nets will play at home at the Barclays Center will be on Wednesday, November 14, 2018, at 7:30 p.m., against the Miami Heat. • The Nets scored 39 points off Philadelphia’s 28 turnovers, which marked their most points scored off an opponent’s turnovers since the 2002-03 season (47 points on 11/22/02 vs. Cleveland). • Brooklyn’s nine turnovers were good for a +19 turnover margin, which marked the Nets’ largest positive turnover differential in a game since the 2002-03 season (+19 on 1/17/03 vs. Toronto). 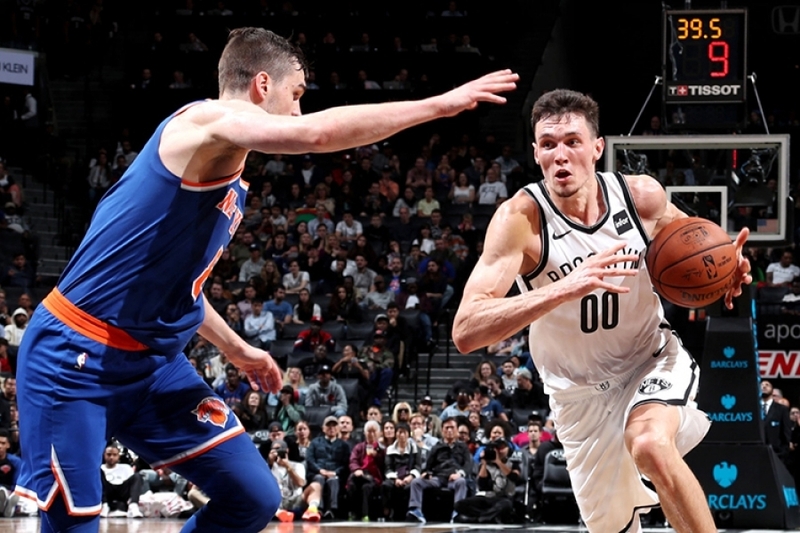 • The Nets registered a season-high 70 points in the paint, which marked their most points in the paint in a game since the 2016-17 Season (72 points in the paint on 4/1/17 vs. Orlando). • The Nets have recorded 60+ points in the paint three times through 10 games after doing so twice all of last season. 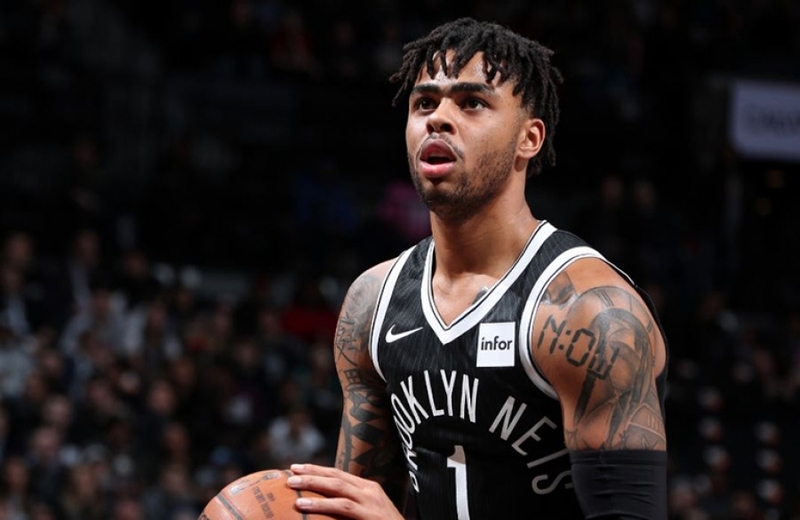 • Brooklyn tallied 41 points in the third quarter, which marked the Nets’ highest-scoring quarter of the season and their third-highest-scoring third quarter in Barclays Center history (since the start of the 2012-13 season). • The Nets improved to 9-4 all-time against the Sixers at Barclays Center, matching their most wins against any opponent at Barclays Center (also: nine wins over the Orlando Magic).